Thank you for this. I read this book out loud to non-Native first graders and gave a generic disclaimer about naming but very much wish wish I had more knowledge. I also very intentionally did not make any reference or ask them to make up their own name because I understand the disrespect in that and I cringe when I think of teachers who might make that jump because it would be easy if they had no culturally responsive training and no authors note. Very helpful write up. Also on the topic of names but kind of the flip side, as a Native person, when my son was in 1st grade here in NC, his teacher decided to have a 'powwow' in class in her study of Indians, complete with a tipi in the room (we didn't use tipis in NC). As part of this study, all the kids were to pick "Indian" names. I taught in the school at the time. He came to me, very confused, and said "But I AM Indian, and my name is Jamie!" He was 100% correct. I told him so and said he did not have to pick any sort of false, degrading "Indian" name. (degrading to all Natives since they weren't true). I spoke to the teacher, but instead of having the kids NOT pick "Indian" names, her solution was that Jamie didn't have to. 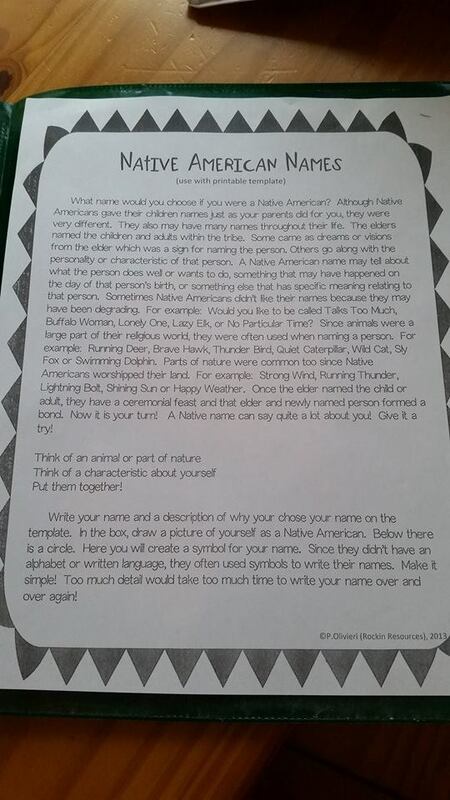 So my son, the only Native kid in class, was the only kid without an "Indian" name like Little Deer, Running Bear, and that sort of nonsense that makes Natives cringe when non-Natives do that, taped to his desk. The repercussions of that microagression have lasted years. I had a grown Chicana woman poet who shall not be named do THE SAME EXERCISE in a poetry workshop not ten years ago. It was appalling. I dropped a word in the workshop director's ear. It didn't happen again. But at the time, I did not feel confident enough to speak out to the poet herself. She should have known better; but, she didn't. To the credit of the entire workshop, not one person chose an "Indian name" either. The only other Native person and I just shook our heads. Neither one of us have "Indian" names, by the way. The poet was a little perplexed. Hopefully her talk with the Director helped. Geesh. She must have gotten her lesson plan from a grade school teacher! I cannot thank-you enough for this article. You have opened my eyes. Do you have thoughts on an actually good activity that could be done with students using this book instead of that naming one? The publisher could even include an alternate activity along with the note, if that's a thing. I don't know if they do that in picture books (like they have discussions questions in classroom versions of novels). Great post! I wrote a blog post about this same topic yesterday which stemmed from a review posted about this book on Instagram.